— The Gillette business model is to give away the razor in anticipation of making profits from the sale of the blades. — The Amazon business model is to give away the Kindle Fire for cost in anticipation of making profits from the sale of content and ads. — The Google business model is to give away the Nexus 7 for cost in anticipation of making profits from the sale of ads and content. — The Apple business model is to sell the iPad Mini for a profit…AND in anticipation of making additional profits from the sale of content and ads. “(T)he razor and blades business model, is a business model wherein one item is sold at a low price (or given away for free) in order to increase sales of a complementary good, such as supplies (inkjet printers and ink cartridges, “Swiffers” and cleaning fluid, mobile phones and service contracts) or software (game consoles and games). Though the concept and its proverbial example “Give ’em the razor; sell ’em the blades” are widely credited to King Camp Gillette, the inventor of the disposable safety razor and founder of Gillette Safety Razor Company, in fact Gillette did not originate this model. 3) No monopoly (proprietary) pricing available. The razor and blades business model works, in part, because when the razors are given away at cost or for free, they become ubiquitous, thus making it convenient for razor owning customers to purchase the company’s proprietary blades. There is no evidence to indicate that either the Amazon Kindle Fire or the Google Nexus 7 are selling well despite their subsidized sales prices. It’s been estimated that the original Amazon Kindle Fire sold 4.7 million Kindle Fires over a 9 month span and that the Google Nexus 7 sold 3 million units last quarter. These numbers are estimates because neither Amazon nor Google are willing to release the actual sales numbers. When you consider the fact that these are both subsidized products being sold at cost, those numbers are remarkably low. The razor and blades business model works, in part, because when the razors are given away at cost or for free, the profit is made from the blades. There is no evidence to indicate that either the Amazon Kindle Fire or the Google Nexus 7 are making substantial profits from the sale of content or ads. In fact, when you look at the company’s recent quarterly earnings reports, there is evidence suggesting that they are NOT making significant revenues or profits from tablet related content and ad sales. The razor and blades business model works, in part, because the blades are proprietary and command the premium price neccessary to offset the lack of profit from the giveaway of the razors. Computer printer manufacturers have gone through extensive efforts to make sure that their printers are incompatible with lower cost after-market ink cartridges and refilled cartridges. This is because the printers are often sold at or below cost to generate sales of proprietary cartridges which will generate profits for the company over the life of the equipment. (V)ideo game consoles have often been sold at a loss while software and accessory sales are highly profitable to the console manufacturer. For this reason, console manufacturers aggressively protect their profit margin against piracy by pursuing legal action against carriers of modchips and jailbreaks. Atari had a…problem in the 1980s with Atari 2600 games. Atari was initially the only developer and publisher of games for the 2600; it sold the 2600 itself at cost and relied on the games for profit. When several programmers left to found Activision and began publishing cheaper games of comparable quality, Atari was left without a source of profit. Neither the Amazon Kindle Fire nor the Google Nexus 7 have a monopoly on the content or the ads that they sell. They cannot command a premium price. In fact, if anyone can command a premium price on the sale of content, it is Apple because of their extensive distribution channels. While Apple is able to sell content in over 90 countries, the content sales channels for both Amazon and Google are extremely limited. There are rumors that Google may announce a $99 Nexus tablet next week. But in a subsidized model, cheaper is not necessarily better. In fact, it could be counter-productive. 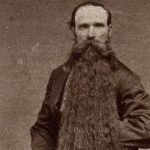 The razor and blades business model works, in part, because when the blades are given away at cost or for free, they become ubiquitous, but there is no point in giving away the razors to men who love having beards. Similarly, there is no point in selling low-cost Amazon or Google tablets to customers who don’t buy their content or consume their advertising. Subsidized products attract bargain hunting customers and bargain hunters are as useless to Amazon and Google as bearded men are to Gillette. Apple is being criticized for selling the iPad Mini at $329 and leaving a “price umbrella” under which the likes of Amazon and Google tablets can grow and prosper. There is no price umbrella. The Amazon Kindle Fire and the Google Nexus 7 are zero-margin products. Let me say that again. Amazon and Google make zero profit from tablet sales. No matter how much Apple lowers its sales price (and its margins) it won’t be taking any profits away from the Amazon Kindle Fire and the Google Nexus 7 because they already make no profits. Now there is an argument to be made that lower Apple iPad Mini prices might reduce Amazon’s and Google’s tablet sales and therefore lower Amazon’s and Google’s tablet related content and ad sales. This presumes that lower iPad Mini prices would spur higher iPad Mini sales. If the iPad is supply constrained, (i.e,, Apple can’t make enough of them) this argument fails. Further, both the Amazon and Google tablets are already selling poorly. And there is absolutely no evidence that Amazon or Google are making more than, or even as much as, Apple is in content and ad sales. Lower iPad Mini prices would have a negligible effect on Amazon’s and Google’s ethereal profits but it would have a significantly negative affect on the iPad Mini’s margins. Apple doesn’t need to lower its pricing to deliver “the tablet death blow” to its competitors. Apple’s competitors are doing a fine job of starving themselves of profits as it is. When your competition is giving razors to men with beards and hoping to make their profits on the sale of blades, you don’t attack them – you ignore them. John R. Kirk is a recovering attorney. He has also worked as a financial advisor and a business coach. His love affair with computing started with his purchase of the original Mac in 1985. His primary interest is the field of personal computing (which includes phones, tablets, notebooks and desktops) and his primary focus is on long-term business strategies: What makes a company unique; How do those unique qualities aid or inhibit the success of the company; and why don’t (or can’t) other companies adopt the successful attributes of their competitors?